Think of someone in your life who seems to have boundless energy and a devotion to doing “what’s right.” This is how Melinda’s clients consistently describe her. After earning her undergraduate degree in Psychology from NC State and her Teacher’s Certificate as a North Carolina Teaching Fellow from Meredith College, Melinda started her career in education as a Kindergarten teacher. However, a move in 1998 to New England to live near her husband’s family meant a change in professions for Melinda. She began a successful real estate career in Newburyport, MA. The Szeliga family returned to NC in 2003, choosing to settle down and raise their daughter in Davie County. 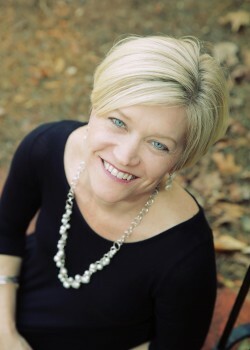 Though they were new to the area, Melinda quickly became one of the areas’ top performing real estate agents as her reputation grew for having a strong work-ethic. Melinda joined the team at Hillsdale Real Estate Group in June 2014, and serves her clients with integrity and dedication, assisting them in achieving their goals. On a personal note, Melinda and Ken, her husband of 20 years, along with their daughter, enjoy their family farm and take pride in adopting a variety of rescued livestock. Their current list of pets includes two pot-bellied pigs, two miniature horses, two goats, a sheep, a miniature donkey, and chickens! Melinda even helps animals find homes, too!